Rob Pierce is the owner of Friendly Tap (since 2007), the Friendly School of Folk Music (created 2012), and the Friendly Coffee Lounge (opened 2014). In addition to managing the Friendly Music Community, he is also an accomplished musician himself, playing with local favorite bands (Yellowhammers, the Mini Reubens), having a solo album Flat Rock, and writing/performing commercial jingles. Rob teaches in the School and believes in the benefits of music education. As the executive director of a 501(c)3 non-profit organization, Rob is committed to providing music services to all who seek out the arts. Terry White grew up in Oak Park. Graduated from St Ignatius in Chicago and received a bachelors degree in English from Southern Illinois University. After college Terry spent the next 9 years traveling around the country playing music from LA’s Whiskey-A-Go-Go to NY’s CBGBs. In 1993 Terry joined Smith Barney and is currently First Vice President/Financial Advisor with Morgan Stanley. Terry’s commitment to music led him to join the Board of Directors at the Friendly School of Folk Music in 2014. He continues to write, record and perform his original music in Chicago and surrounding area. The Friendly School of Folk Music (a non profit organization) is a musical community that strives to inspire, bring together, and develop musicians of all ages and levels through our unique instructional approach. Our beginner, intermediate and advanced classes are led by professional musicians who guide students at their own pace with attention to individual musical interests. We are a community based organization that is all inclusive, and we strive to make music affordable to all, as well as financially rewarding to our mentors. We provide an environment for all musicians to learn from one another, play together and develop their skills. 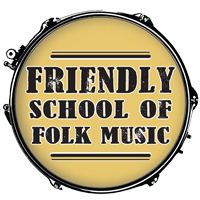 We encourage our musical family to consider the Friendly School of Folk Music a home where everyone is supported and welcome. We especially encourage our youth to choose music and the arts as a recreational outlet.